This year Lent begins on Valentine’s Day, February 14, 2018. If feels like Christmas just barely ended and now we are on to the second half of the wonderful story of God’s love for us all. There is a misconception that Lent is only for Roman Catholics and Orthodox Christians, however, I am pleased to inform everyone that Lent is celebrated and observed by believers from a variety of denominations. Every year I make it clear to people that Lent is not about punishing yourself or making yourself miserable for 40 days. Lent is about joining Jesus in the desert to grow closer to God. Lent is an active way to remember that we are dependent on God for our spiritual strength and that despite having an abundance of material goods, nothing can satisfy our souls except God. Jesus was never alone during those 40 days, the spirit of God was with him. When we struggle it may feel as if God is absent, and the lies we tell ourselves may lead to the belief that God has abandoned us, but that is not the nature of our Lord, he is with us always. The feeling of absence is called emotional and spiritual pain. God doesn’t test us and we are told not to test him (Luke 4:7). “Testing” others is a form of manipulation and this type of behaviour has no place in a relationship, especially the one we have with God. In the desert Jesus shows us how to respond to temptations and anything that enters our lives that threatens to remove God from being the most important in our lives; he shows us to respond with truth and the word of God. For Lent 2018 I will be reading Liturgy of the Ordinary: Sacred Practices in Everyday Life, by Trish Harrison Warren. I chose this book because I wanted to learn to be present to the presence of God in my daily, ordinary activities and interactions. And, if you’re wondering what I’m “giving up” for Lent, the answer is nothing. I decided that the words and obsession with “giving up” can easily lead us to focus too much on accomplishing a habitual goal instead of the spiritual experience of gaining a deeper relationship with God. During Lent I will intentionally engage in prayer walks. Walking is something I find deeply meditative and calming. I haven’t been walking much lately and I can see how it has affected my spiritual disciplines and prayer life. Winters in northern Canada can be brutal, and this year we’ve had a lot of snow, and this has been my reason for not doing much walking. For those 40 days I will be doing daily prayer walks. What I’ve “given up” is idle time that is often spent on Netflix, going to the fridge or cupboard for snacks, Facebooking, or other activities that aren’t adding much to my life. The idea of Lent isn’t to give up things that are sinful or unhealthy for you (these things are best given up forever, not for a mere 40 days). The goal is to engage in increased prayer, reflection, and charitable giving or works. However you chose to celebrate the love and redemption that God gives us, my hope is that it will bring you closer to him and provide a deeper understanding of the power and strength provided to us by his Holy Spirit. 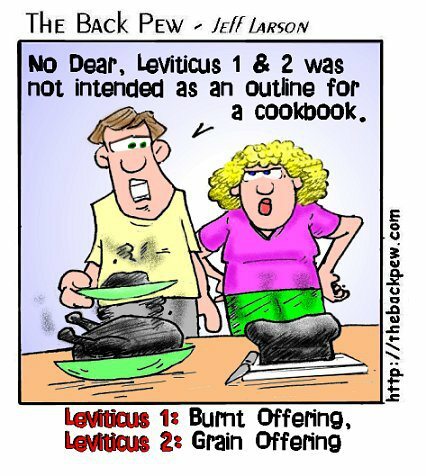 I’ve recently started reading through the book of Leviticus from the Hebrew Scriptures. This book lists the standards and expectations of worshiping God in the sanctuary. Reading through the first several chapters was a reminder to me of how much work was involved in bringing burn offerings, grain offerings, and sin offerings to God. I have a difficult enough time bringing a side dish to an after church potluck, I couldn’t imagine what it would be like, having to bring a bull, sheep, or a goat to the sanctuary. I’m classified as low income, so my offering would be a grain product and some olive oil. This is one of the rare occasions where living below the national poverty line is a benefit. There are Christians who feel religiously evolved, maybe even superior because we no longer have to bring items to our contemporary place of worship as an offering to God. 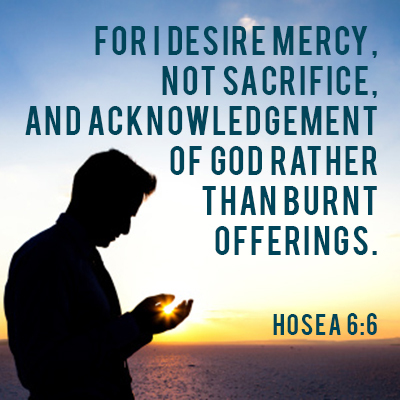 Weekly sermons often remind us that God wants our hearts, not our sacrifices. I wouldn’t want to return to the practice of bringing offerings to our place of worship, but I can’t help but feel as if something might have been lost when Christians decided at some point to stop the practice of animal and grain offerings; instead, replacing it with financial offerings. What would happen if we had a modern version of offerings? What would you bring to the sanctuary and place at the altar and into the fire resulting in a “pleasing odor to the LORD” (Leviticus 3:5)? There are weeks when my schedule is filled with too many activities, fatigue sets in and my eating habits become less than ideal. My sacrifice before the LORD would consist of left-over takeout, green smoothies, and kettle popcorn. I’m not a regular meat eater, there would be no sweet fragrance of cooked meat filling the air. The alter at my church would be filled with a typical Alberta diet of steak, various cuts of beef, pork, potatoes, and a representation of every major fast food franchise in the city. I can see why church goers are content with swapping food offerings for financial offerings. Bringing a portion of our food consumption to church as a sacrifice to God could lead to competitive behaviour and unnecessary shame, but something more important and godlier could happen; we might make a lifestyle change and take better inventory of what we consume and how we spend our money. 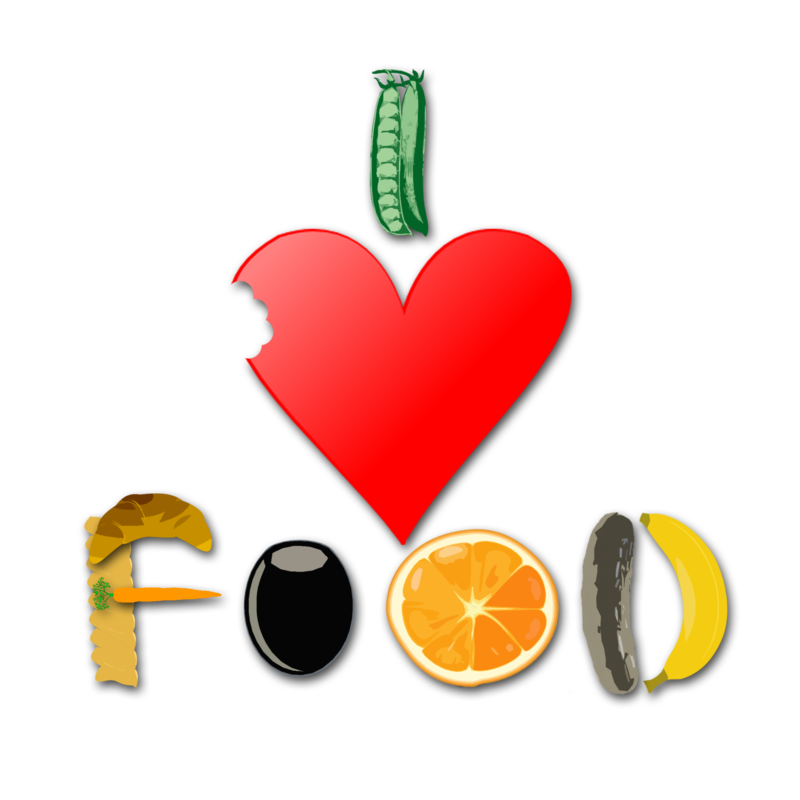 Do you habitually spend money on unhealthy foods? Are your funds going towards takeout meals or pre-packaged foods? I don’t want to return to the religious practice of food sacrifice because I believe it does not fit with modern living and our current culture, not to mention, it was bloody, messy, and used costly food that could have been given to those who were poor for a meal. I also don’t believe God wants a literal sacrifice of our food. Food consumption is a form of worship. He has given us enough food on this earth to feed every single human being; lack of food for survival should never have to happen. Consume what your body needs and share with others. We have much more freedom about our food choices than previous followers of God; however, let’s not let that be a reason for us to habitually consume unhealthy foods and forget to give God praise and thanksgiving for the good food we are fortunate enough to be able to eat. QUESTION: If you were bringing a food offering to God that consisted of your meals from the past two weeks, what would your offering look like? Is thanksgiving a regular part of your eating ritual? What do you think about the past practice of animal and grain offerings? May you be blessed with a renewed feeling and experience of gratitude and worship as you consume your meals this week. Let us give thanks for all we are provided with. Peace. How Embarrassing! Lord Forgive me! As person with an anxiety disorder I used to be embarrassed by the slighted mishap, or at least perceived mishap. I spent my entire 20’s being afraid of embarrassing myself and in many attempts to avoid being noticed I unintentionally drew attention to myself. Social anxiety uses a lot of energy and by the time I had reached my mid 30’s I realized that I didn’t have as much energy to waste on dreading social situations as I did in my 20’s. Eventually I decided to take that precious energy and use it towards laughter. I laugh every single day. There isn’t a day that goes by where I don’t find something to smile at or laugh at. I don’t laugh at other people; that is junior high behaviour and I’m not interested in regressing into immaturity. I laugh about a lot of things that at one point in my life would have left me feeling devastated, embarrassed, and even ashamed. Now that I’ve discovered the power of laughing at myself I’ve experienced a major decrease in anxiety. Sometimes my humour is self-depreciating, but it is not the harmful type despite what some critics might say about this style of humour. Sometimes incidents are less embarrassing than you imagine them to be. Think about Junior High and High School, I’m sure you had a few embarrassing moments, but did you die? No, you didn’t. You’ve probably forgotten most of the times you had felt embarrassed during your school days; and it will be the same in adulthood. Ten, twenty years from now you won’t remember most of the times you felt embarrassed in the past four months. The interesting thing about embarrassment is that you only experience this feeling if others are involved. I hadn’t thought about this until recently but, people don’t get embarrassed about something when no one other than themselves are around. Sometimes embarrassment results from placing too much value on what other’s think about you or what you think others are thinking about you. 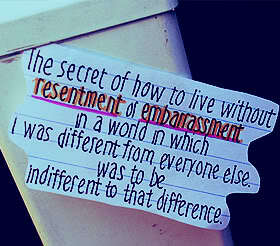 The less importance you place on what other’s think about you, the less incidences of embarrassment you’ll experience. Be careful not to allow a spirit that is not in line with the fruit of the spirit take root in you (Ephesians 4:26-27). No matter how embarrassing an event may be, you can overcome it. Use whatever method works for you: prayer, laughter, mindfulness, debriefing, talking about your feelings with someone close to you, etc. The embarrassment comes from feeling “lesser than” others. Embarrassment can also lead to resentment, “Why did this happen to me and not _________?” It can also lead to spitefulness; that feeling of ill will towards others. When the feeling of embarrassment goes unchecked, emotions and actions that are not in line with how God wants us to behave can develop over time. How do you typically handle moments of embarrassment? Do you respond to embarrassment with a godly response? 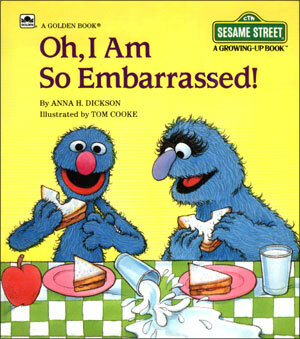 When are you most embarrassed? In prayer ask God to reveal to you any moments of embarrassment you’ve been holding on to emotionally. Ask God to help you overcome any unhealthy emotions related to that experience.